These spiral bound sketch books are a great place to look for ideas for new tattoo designs, or use one as-is right out of the book. 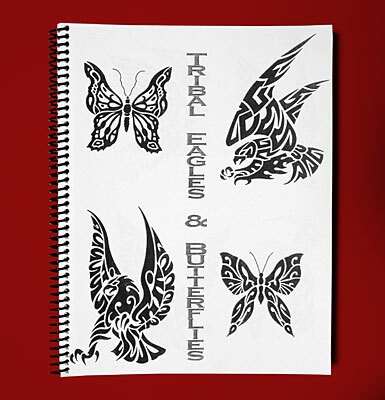 Dozens of variations on tribal eagle and tribal butterfly themes. Black & white, 43 pages, 8-1/2" x 11"